This was done in my first couple of years working at Disney (it has been over 10 now). It was used for a United Magazine cover. 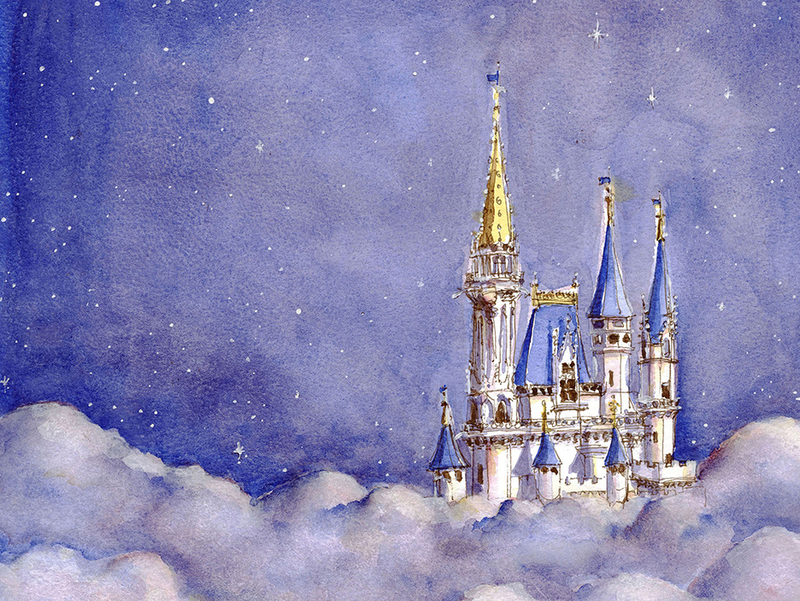 They wanted it to feel like art and not like it was done on computer and wanted Cinderella Castle with a dreamy feel. So I opted for this sketchy approach that I was comfortable with from all my time sketching in the parks. Pen and ink and watercolor on watercolor paper.